Video from any analogue source (composite or S-Video) can be captured as either still frame video images or motion video. Composite video inputs are provided as female RCA jacks, while S-Video uses a standard 4-pin DIN connector. 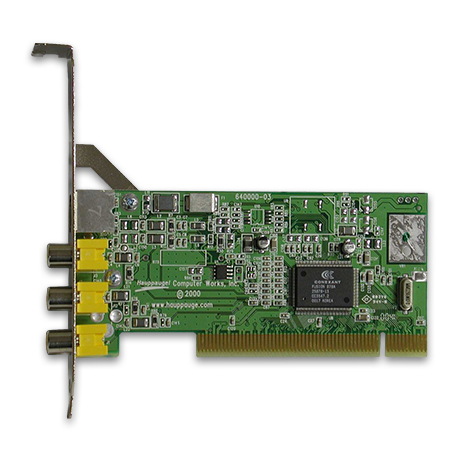 The ImpactVCB comes with a VFW (Video for Windows) capture drivers for Windows 95 and Windows NT, and a WDM driver for use with Windows XP, Windows 98SE, Windows Me and Windows 2000. Typical capture rates range from 15 to 30 fps depending on system configuration. ImpactVCB is part of a low cost family of video capture boards which can be used as the heart of a live video display, real time video capture, streaming video or video conferencing solution. 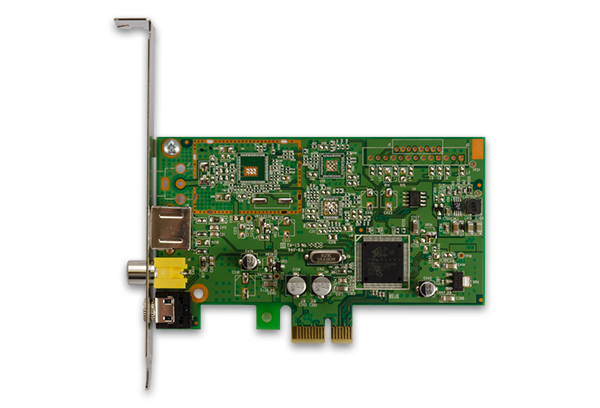 The ImpactVCB board provides image capture from a desk top CCD camera or other analogue input. 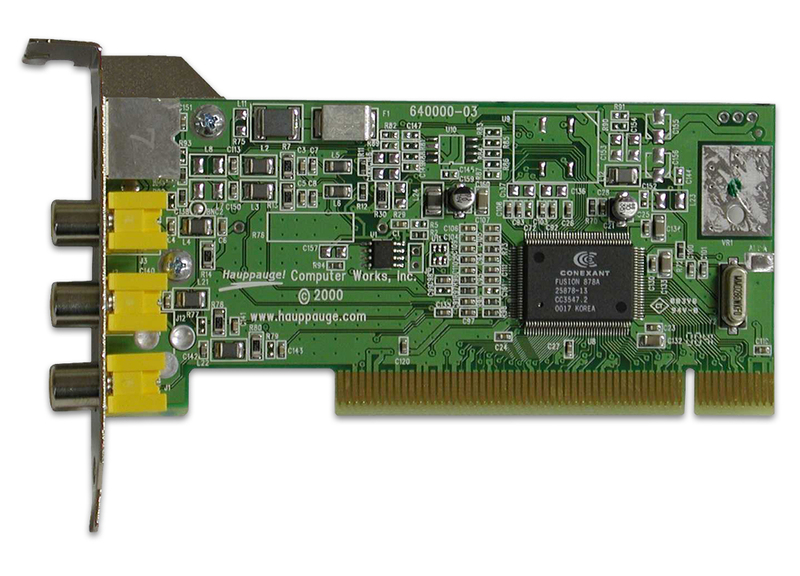 Impact VCB board is a small 1/3 height PCI board based on the Conexant 878A video digitizer chipand requires a single PCI slot. A graphics card with Direct Draw 3 (or later) capability is required for Live Display. Operating system can be Window 95, Windows 98, Windows ME, NT 4.0, Windows 2000 and Windows XP. Third party Linux drivers are available. Drivers are provided with the ImpactVCB board. Incoming image is digitized using high quality 4:2:2 video sampling and displayed in a window on the PC's screen. 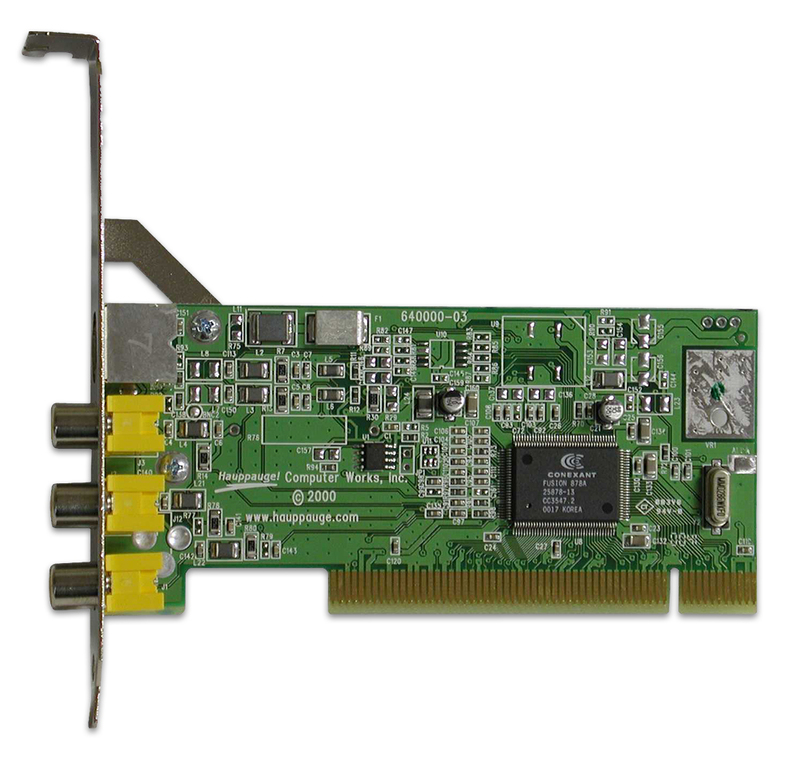 The image is transmitted directly by the ImpactVCB into main system memory or the memory of the graphics adapter for high performance results. 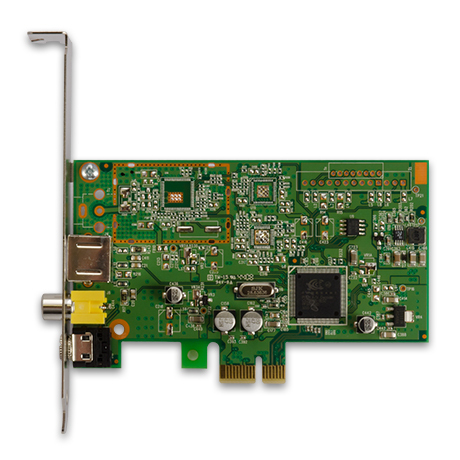 A Programmers Toolkit is available for the ImpactVCB which provides both DLL and OCX support for applications requiring the ImpactVCB's video capture or video display. Applications can be developed in C or Visual Basic. 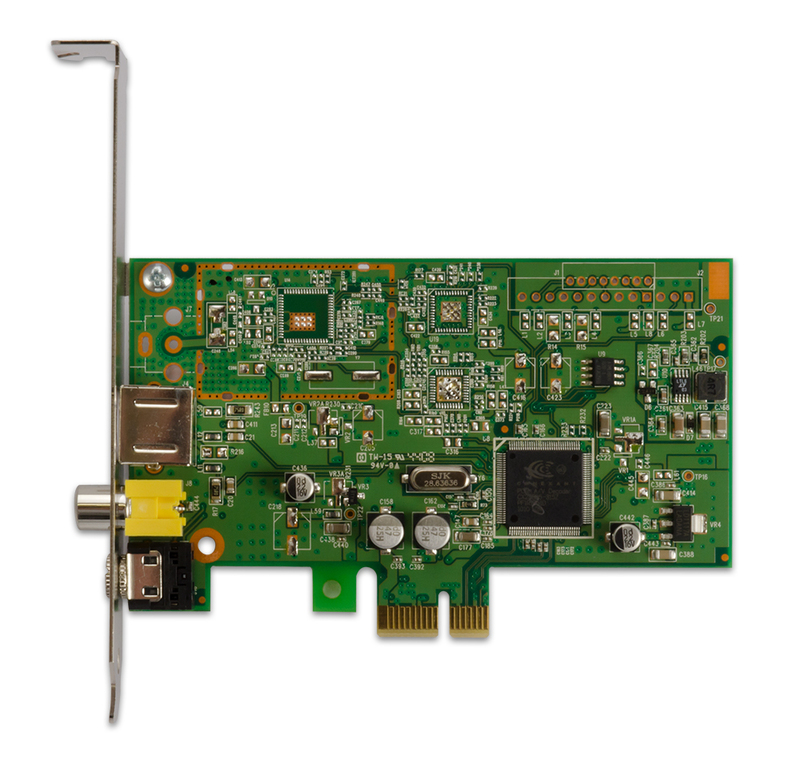 Hauppauge has a variety of ImpactVCB boards, cameras and kits available to support your image capture, video image display, industrial image processing and video conferencing applications worldwide. Please note that our technical support organization is available to provide technical information you require to support your applications. Special models are available which use BNC connectors (contact your local sales office for further information). 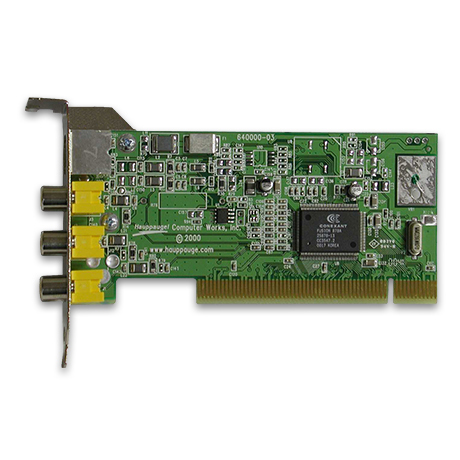 Drivers: A WDM driver for Windows XP, Windows 2000, Windows ME and Windows 98SE is included. Video for Windows capture drivers for Windows 95, Windows 98, Windows NT 4.0 with Service Pack 3 are available. WHQL certified drivers for Windows XP are available. EMI treatment for FCC Class B and European CE (EN55022, EN55013 and EN55024) and is UL listed. Microsoft® Windows® XP Service Pack 3, Windows ME, Windows 2000, Windows 95, Windows 98SE, and Windows NT 4.0 with Service Pack 3 installed. A public domain Linux driver is also available for the ImpactVCB. Audio is not processed on the board. Audio can be input directly to the sound card for digitizing and furthur processing. The ImpactVCB can be used for Internet video conferencing using the supplied Microsoft NetMeeting. Also, most other video conferencing applications which require a Video for Windows capture driver to digitize video can be used with the ImpactVCB. Since all of the digitizing and image movement are done by the ImpactVCB without requiring the systems CPU, you get the maximum performance from your PC. In addition to the ImpactVCB, a video camera, NTSC or PAL is required. A sound card is required for digitizing the audio. A microphone and speakers are also required for full video conferencing.